The present day “pure bred Stumpy” is a modern construct, produced under the guidelines set down in the ANKC Stumpy Tail Cattle Dog Redevelopment Scheme, inaugurated in 1988. I emphasise; the ASTCD is a modern construct. Put it another way. The ASTCD was, from 1988, a breed in the process of development from selected exemplars in the Cattle Dog population, many of them unregistered stock dogs on rural properties. The ASTCD owes its origins – and its bob-tail – to the Halls Heeler, Australia’s first stock dog, bred and developed by Thomas Hall of Dartbrook. Hall crossed working dogs, imported from the north of England by his parents, probably in the 1830s, with Dingoes. By 1870, the Hall family and its nominees (a family trust, the George Hall Estate, managed by Thomas and his older brother William) owned millions of hectares in New South Wales and Queensland. Few Halls Heelers were found beyond the Hall properties. They were much too valuable to the Halls and their stockmen. Thomas Hall, however, died in 1870 and William Hall in 1871. The family trust was wound up and the pastoral leases in northern New South Wales and Queensland were sold at auction in 1873. These leases comprised the greater part of the George Hall Estate and were therefore home to the largest number of Halls Heelers. Some of the larger runs remained intact but others were broken up into smaller selections. Several former Hall stockmen became owners of parts of properties on which they had previously been employed. Some of these stockmen are known to have bred on with Halls Heelers. Although Dartbrook and Gundebri remained in Hall ownership until the 1880s, communications between Dartbrook and the northern stations ceased. 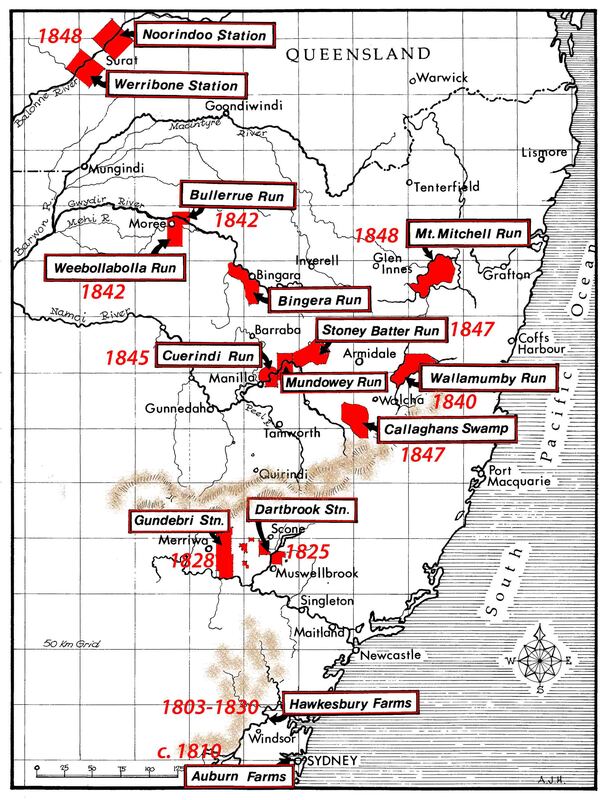 The Halls Heeler populations on the northern stations became isolated from those in the Hunter Valley (Dartbrook and Gundebri) and further south. The dogs were eagerly sought after but lost the Hall identity and became generally known as Cattle Dogs. Towards the end of the nineteenth century major agricultural shows became an annual event in Sydney and Brisbane. Entrants were exhibited competitively and sometimes offered for sale. Cattle Dogs appeared in the show ring. In Brisbane Cattle Dogs (Long Tail) and Cattle Dogs (Short Tail) were exhibited in different classes but pedigree information, given in show catalogues, makes it clear that both varieties might be found in the same litter and that both were acceptable in Queensland. But not in Sydney. 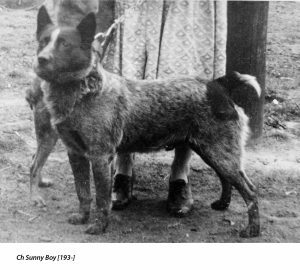 Robert Kaleski compiled the first breed standard for the Cattle Dog and had it published in 1903. He made no provision for short tailed cattle dogs and it is possible that he recommended culling them. 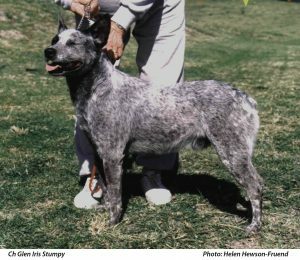 During the next fifty years Cattle Dogs (Short Tail) – later known as STCDs – were shown in Queensland but not, that I know of, in New South Wales or in other states. Prior to c. 1950, the dog world in Queensland was largely controlled by the KAQ but two other major clubs maintained their own stud registers and dog registrations, licensed judges, etc. in parallel with the KAQ. During the 1950s the “big three” clubs moved towards setting up the CCCQ . In October 1958, the CCCQ implemented an important change in the system of registering dogs, a change which threatened the continued existence of the STCD as a registered breed. Under the “Old System”, the owner was responsible for registering a dog. If your Cattle Dog was long t ailed he was registered as ACD. Short tailed pups were registered as STCD. Under the “New System”, the breeder was required to register the litter. It soon became obvious that some ACDs had STCD siblings and/or STCD parents, etc. The CCCQ moved towards de-registering all STCD breeders. According to Iris Heale – and I know only what she told me – she decided to fight de-registration. She and her father, Alf Gibson (a former Stumpy breeder himself), looked for support among other de-registered breeders, but found none. Alone, she sued the CCCQ for wrongful de-registration, asserting that she had not bred mixed ACD/STCD litters. Iris won her case. Iris Heale, Glen Iris kennels, became the one and only breeder of registered STCDs in the world. Iris took her revenge. Determined to keep her monopoly, she refused to sell registered male pups. Faced with the results of intense inbreeding, Iris occasionally used the services of ACDs, such as Oceanview Red Ace. Iris was born in 1919. By the 1980s the ANKC realised that Iris’s death would also be the death of the STCD as a bench breed. 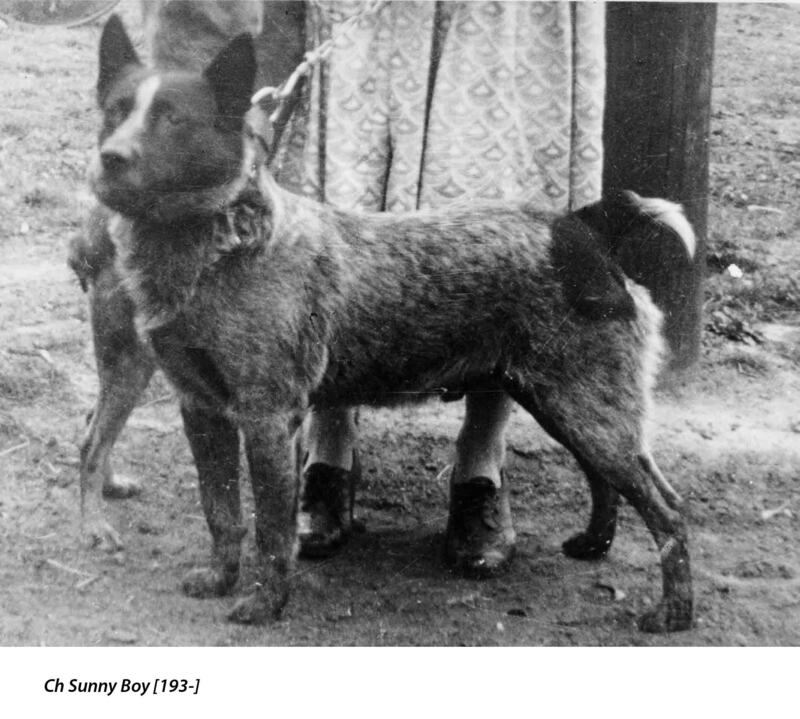 Within the terms of Australia’s bicentennial celebrations in 1988, grant moneys were made available to the ANKC to fund the Stumpy Tail Cattle Dog Redevelopment Scheme. The name change from STCD to ASTCD became effective on 1 January 2002. Iris Heale died in 2005. ANKC. 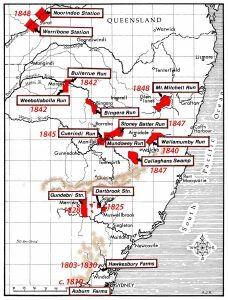 An Historical Record of Australian Kennel Controls. ANKC, 1988. This entry was posted in ASTCD History, Halls Heeler, Uncategorized. Bookmark the permalink.